Bornemann's Afield Mobile Updates: An evening at the Taxidermist. An evening at the Taxidermist. A chance to reminisce tonight on the 2009 season. A big thank you to Pat Tourville at Arrowhead Taxidermy for his beautiful work on Darin's 2009 bear and buck. 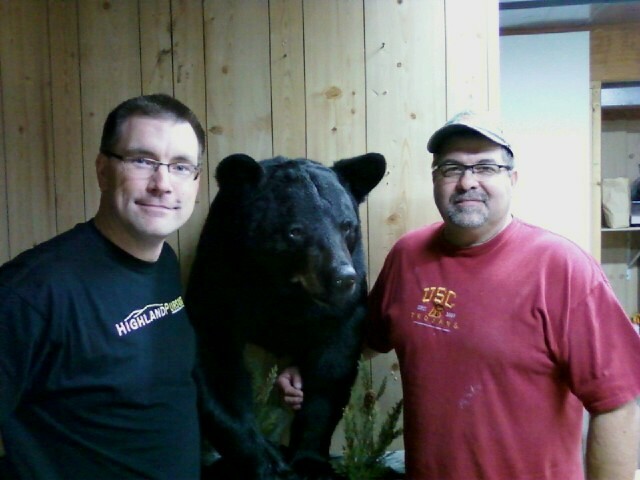 Darin and Pat with Darin's black bear.